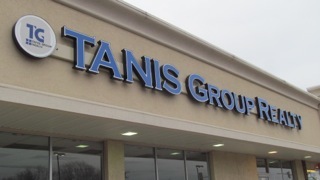 Our new office has opened at 505 East Algonquin in Algonquin, IL! REALTORS, it's time to associate with a GROWING Company! Tanis Group Realty carries an average of 300 – 400 REO listings and all leads go to our agents participating in our Leads Program. The leads program is a great way to enhance or kick start your current real estate production. Our systems generated 1200+ leads in the last two months! In 2015 we have closed over 300 properties! We are always looking for experienced, independent, reputable and energetic REALTORS® to join our organization.Our sales associates either work from the office or from home and have the tools necessary to stay connected and provide superior customer service to their buyers and sellers. *You are responsible for your REALTOR fees and dues.